Barrington Management Company, Inc. was founded by Rick Roethke in 1988 as a boutique management company for the purpose of providing support and quality asset management services to Barrington Investment Company properties and to outside clients. Barrington has enjoyed great success over the years and continues to attribute this success to the core values on which we operate: commitment to our customers, service excellence, ethical practice, and employee fulfillment. Barrington specializes in a value-enhanced approach to property management for a variety of asset types including multi-family, retail, mixed-use, industrial, and office. We currently manage properties in Indiana and Kentucky, and we have a modest presence in the Southwest. 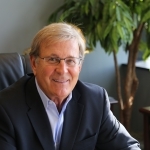 Glen James has served as the President of Barrington Management Company, Inc. since 2008. BMC is a privately held firm with approximately 30 employees and is headquartered in Indianapolis, Indiana. Please visit our contact us page for information on our office location. Glen James joined Barrington Management Company in 2003 as Vice President of Operations. In 2008, he was named President of the company, where he oversees Portfolio Administration, Asset Management, Accounting, and Human Resources. Glen also provides consultation and advice to Barrington Investment Company for its acquisition, disposition, redevelopment, and repositioning of Barrington properties. Mr. James formerly served as Regional Vice President for both general and retail operations for the Midwest Division of Champion Enterprises, one of the largest Manufactured Housing companies in the United States. He is a Certified Property Manager (CPM), accredited with the Institute of Real Estate Management. He is a member of the National Communities Council (NCC), the Indiana Manufactured Housing Association, and the Kentucky Manufactured Housing Institute; he is also a commissioned Kentucky Colonel. Glen has served on numerous committees including PAC, finance, legal, compliance, and media for the National Communities Council. In 1988, Rick Roethke founded Barrington Investment Company, LLC and Barrington Management Company, Inc. Before this, he served as President of the Sycamore Group, one of the largest real estate investment and brokerage companies in the Midwest. Mr. Roethke was also founder and past President of Dominion Reality, Inc and Director of Real Estate for Cloverleaf Development Company, an affiliate of Dominion, which is one of the largest apartment developers in the country. During the Savings and Loan Crisis, he was responsible for the work out of bank owned commercial assets and the repositioning of the balance sheet for Union Federal Savings and Loan, the largest S & L in Indiana.